Dailyexp2290.com is an online service that is owned and operated by ExpressTruckTax, a division of Span Enterprises and an IRS Authorized e-file provider. This service is not owned by or affiliated with Daily Express, Inc. in any way. Daily Express, Inc. does not receive any income or consideration with regard to IRS 2290 tax fees, filing fees, or from the use of this web site. DailyExp2290.com is an online service offered as a convenience to Daily Express owner operators by ExpressTruckTax. Daily Express owner operators are NOT required to use this site to file the Federal 2290 Tax. 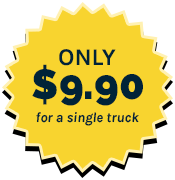 ExpressTruckTax provides a low cost, convenient way for Daily Express owner operators to file their 2290 tax online. When you use this site to file your 2290 tax, Daily will automatically receive a copy of your 2290 tax receipt. IRS Form 2290 is used to file the Heavy Vehicle Use Tax (HVUT). The annual tax period starts on July 1st. If a heavy vehicle is used in any month for the first time in that tax year, then HVUT must be filed with IRS by end of the following month. DailyExp2290.com can help you e-file Form 2290 with IRS. Owners of 25 or more vehicles with registered gross weights of 55,000 pounds or more are required to do mandatory e-filing. Choose DailyExp2290 for the simplest and most hassle-free e-filing.